One of the core challenges in any big-data effort is combining data from multiple sources and turning it into something useful. Your company's transactional systems might be able to show you what customers are buying, for instance, but the keys to other aspects of their behavior -- their browsing patterns and their loyalty information, say -- could lie in other systems altogether. It's only when you can pull all the relevant bits together and discover something new that you reap the reward of all these vast stores of data. That's the sweet spot Oracle is targeting with four new products announced on Thursday. Focusing on the intersection of Hadoop, NoSQL and SQL technologies, Oracle's new offerings aim to put big-data insights within closer reach for a wider array of business users. Oracle Big Data Discovery, for example, is designed to serve as the "visual face of Hadoop" for business users. With an interface intended to offer an experience as familiar as shopping online, it lets users not just find and explore data from across multiple sources but then also prepare and analyze it and share the results, all from a single tool. 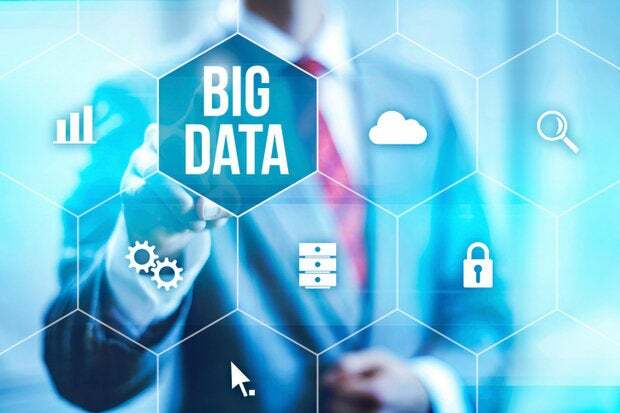 Among the potential benefits are increased participation in big-data efforts by a broader assortment of business users and also a faster path to delivery of useful insights, said Hari Sankar, Oracle's group vice president of big data and advanced analytics. "Because of today's data and tool complexity, big-data projects typically take months or years," Sankar said. "We want to turn that into days or weeks." Also new from Oracle is GoldenGate for Big Data, a Hadoop-based tool that allows users to stream real-time, unstructured data from heterogeneous transactional systems into big-data systems including Apache Hadoop, Apache Hive, Apache HBase and Apache Flume. Essentially, the product "replicates data in real time from system A to system B," making it available in "whatever form you want delivered," said Neil Mendelson, Oracle's vice president of big data and advanced analytics. Rounding out Oracle's announcements on Thursday were also Oracle Big Data SQL 1.1 -- offering a boost in query performance of up to 40 percent over previous versions -- and Oracle NoSQL Database 3.2.5, which has been updated with several new APIs, among other features.